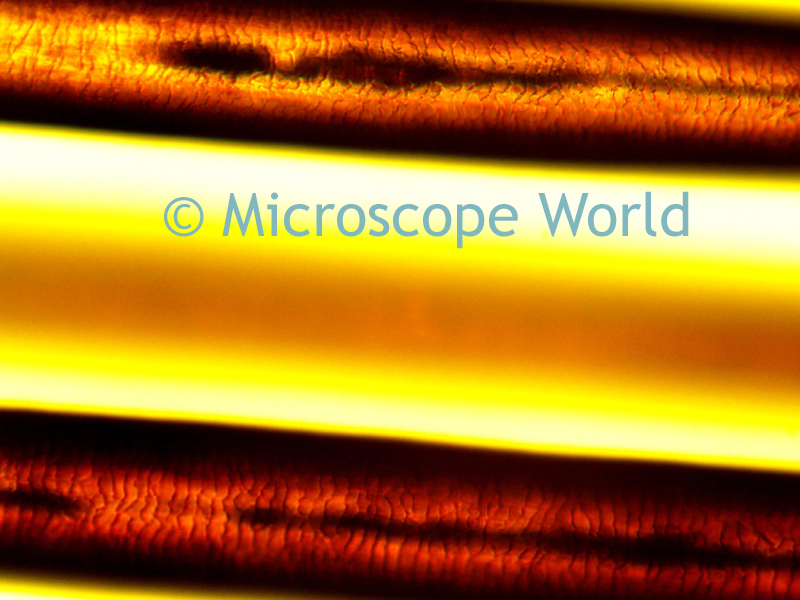 Microscope World has been working with a customer who creates hair extensions from human hair. This customer needs to be able to check the healthiness of the hair prior to creating the hair extensions. By using a metallurgical microscope, attached with a microscope camera, images of each strand of hair can be examined for damage. 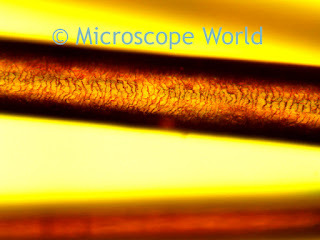 Single strands of hair were captured at 700x magnification under the MT8100 metallurgical microscope. One of the hardest parts of viewing the strands of hair at such high magnification, is the ability to flatten the hair strand. Since each strand of hair has a circular shaft, the hair must be pulled tight in order to get it in focus across the field of view. 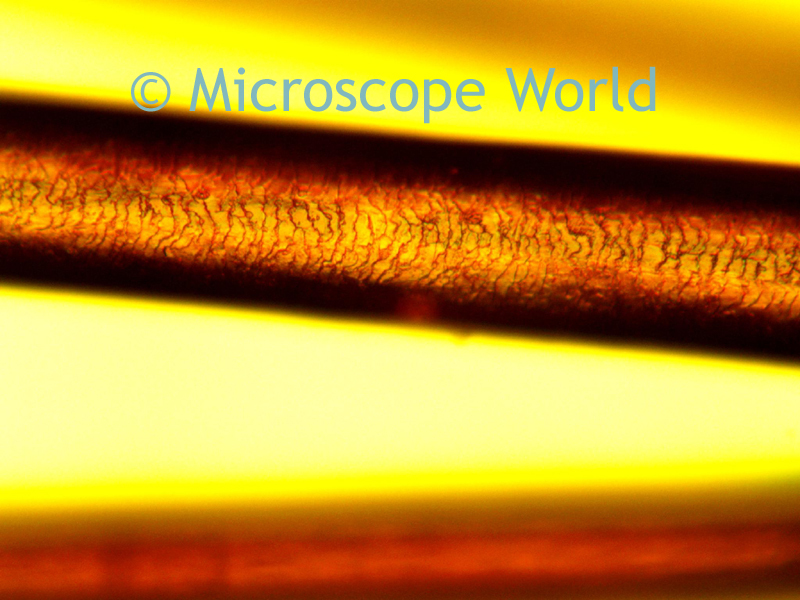 Rather than trying to place the hair between a slide and cover slip (which causes unwanted reflection) the easiest way to flatten each hair strand is by pulling each end tight while holding it under the microscope. Three strands of hair, with the center one being out of focus since it is on a different focal plane.